Along with these skills Willett touches on others like attention to detail, critical thinking, and audience analysis. We need to know who we’re writing for, the context in which they’re reading, and why they’re reading. Willet’s article resonates with me because I got my start in professional writing as a reporter, and because I’ve always thought that my journalistic experience prepared me extremely well for the career I ended up choosing. 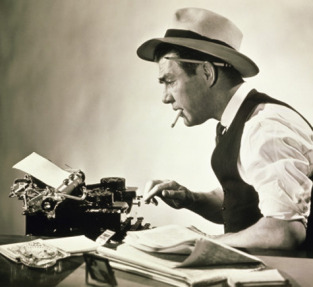 Can you think of other reportorial skills that technical writers should master? What skills did you develop in another field that have served you well in technical writing? This entry was posted in Professionalism, Technical communication and tagged journilism, Justin Willett, reporter, skills, Technical writing, writing on April 7, 2015 by Larry Kunz. I was a librarian first and I think the fields are very similar – the goal of both is to identify what the user needs to know and present it in the most beneficial way.